Secretaries and administrative assistants held about 4 million jobs in the past year in the United States. According to the Bureau of Labor and Statistics, overall employment for Certified Administrative Assistants (CAA) is expected to grow 12% by the year 2020. 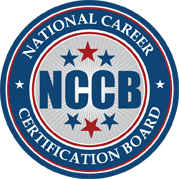 Earning a national certification demonstrates competency to employers and National Career Certification Board’s (NCCB) Certified Administrative Assistant (CAA) designation raises the level standards in the industry and will give you an edge over your competition. Nationally certified Administrative Assistant are typically paid higher than others in the field who do not possess nationally recognized credentials. amount and half earned less. The lowest 10 percent earned less than $21,910, and the top 10 percent earned more than $57,750.